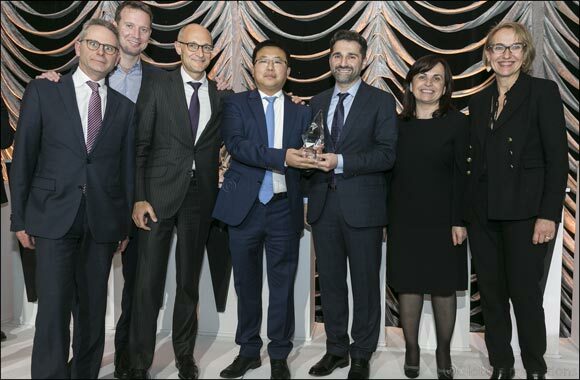 Turkish Airlines has been awarded “Lease Deal of the Year Award” by Airline Economics in the Awards Gala took place in Dublin on the 21st of January. In addition to this, the national flag carrier of Turkey has been also awarded “Aircraft Tax Lease of the Year” by Global Transport Finance in the Awards Gala took place in London on 31st of January, for the financing of its brand new B777-Freighter aircraft delivered in November 2018, with a total financing amount of 110 million Euros. The structure is an innovative, complex and unique French Tax Lease. The structure was arranged by Credit Agricole CIB, one of the largest French banks, where tax leverage is achieved together with a competitive loan provided by ICBC Financial Leasing Co., Ltd., subsidiary of one of the largest Chinese banks, leading to a low cost of financing for the subject aircraft. Turkish Airlines has tapped the Chinese market in 2016, achieving a steady growth in this market with a financing amount of up to 1.3 billion USD as of today. Turkish Airlines has mandated another 14 aircraft to be delivered in 2019 with a value of 750 million USD to Chinese banks and lessors. Turkish Airlines has had very innovative and first-of-a-kind financing models rewarded by ‘Jane's Transport Finance’, ‘Global Transport Finance’, ‘Airline Economics’, ‘Airfinance Journal’, and ‘Bonds, Loans & Sukuk Turkey’ in respect of its financing models put in practice since 2008. Turkish Airlines has crowned its success in this regard with 23 international aircraft finance awards in the past 10 years for raising 15 billion USD.